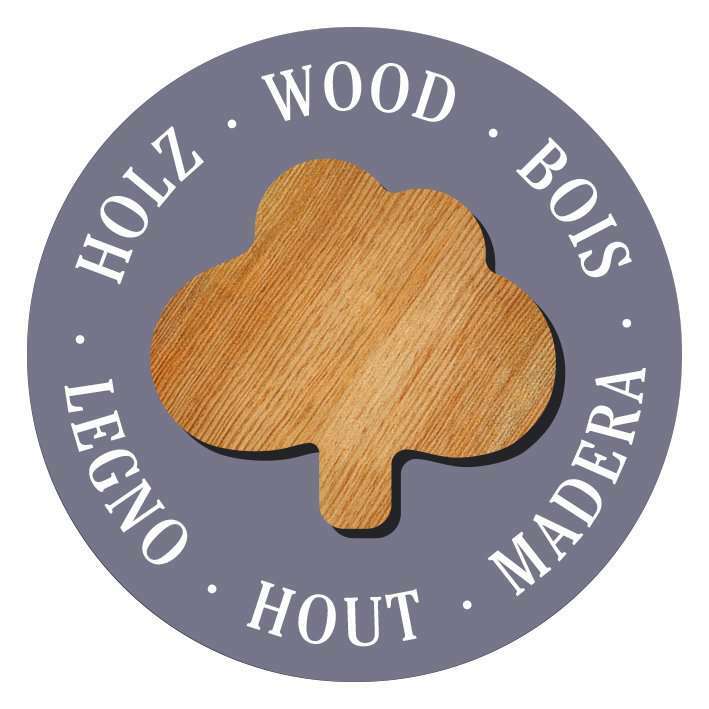 Puzzle Board helps you to build puzzles with ease. Crafted from high-quality beechwood, Puzzle Board works like an artist’s easel, allowing you to tilt and raise the puzzling surface, meaning that you can reach the top corners and edges of your puzzle without straining your back. 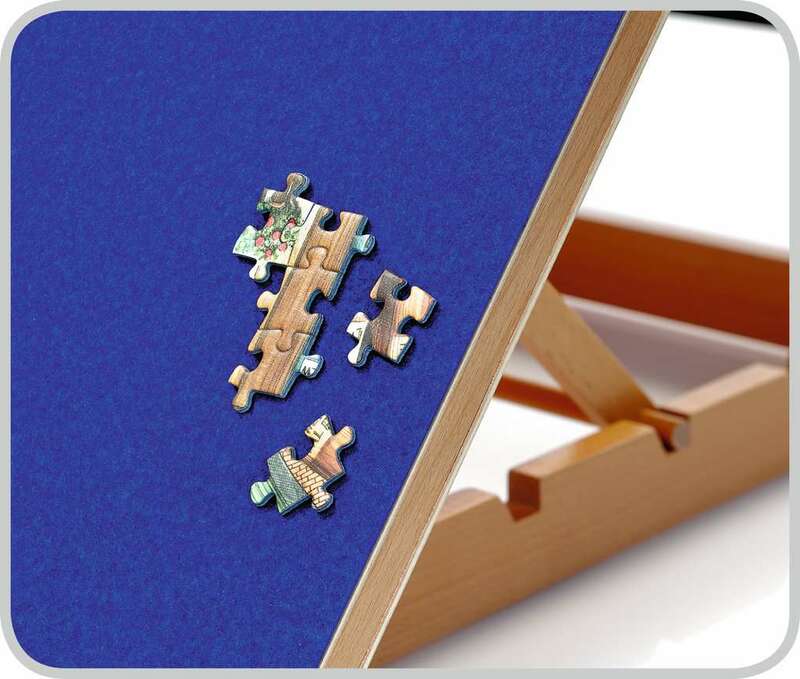 The puzzling surface has a high-quality velour finish, holding puzzle pieces in place and preventing them from falling. 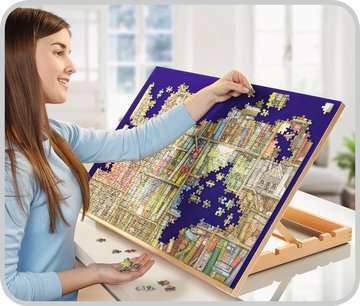 Choose from 3 different tilt settings, whilst the 4th setting (almost vertical), allows you to display your finished puzzle with pride. 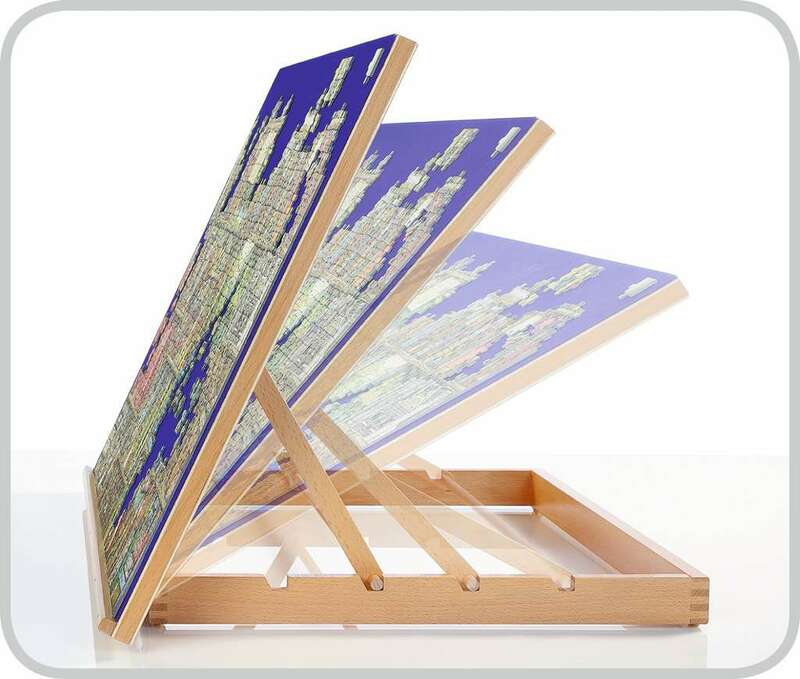 Lightweight design folds flat to allow for transportation and easy storage. 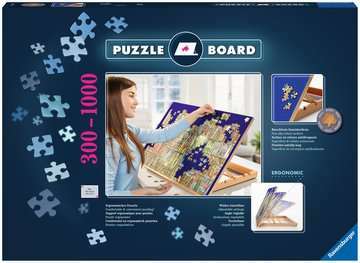 Part of Ravensburger’s range of puzzle accessories.